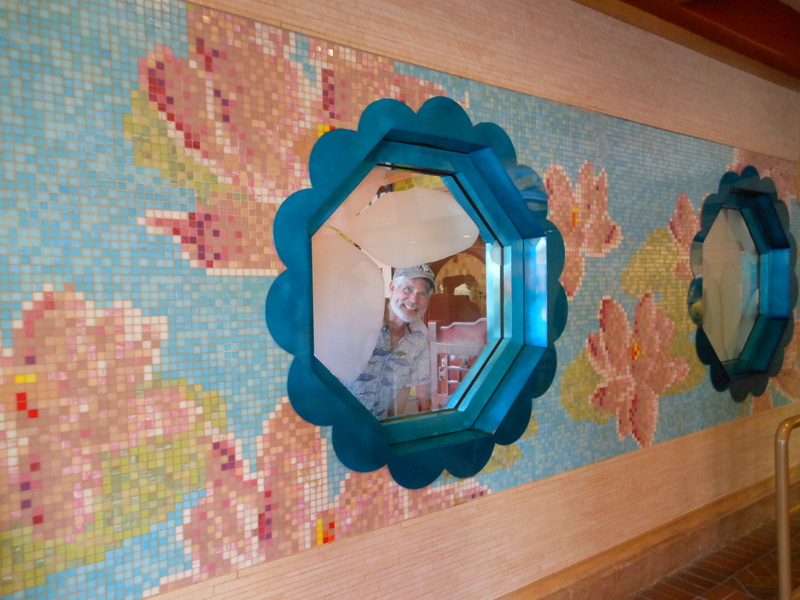 When we’re in the mood for a quick lunch at Epcot, the Lotus Blossom Café is our first choice. 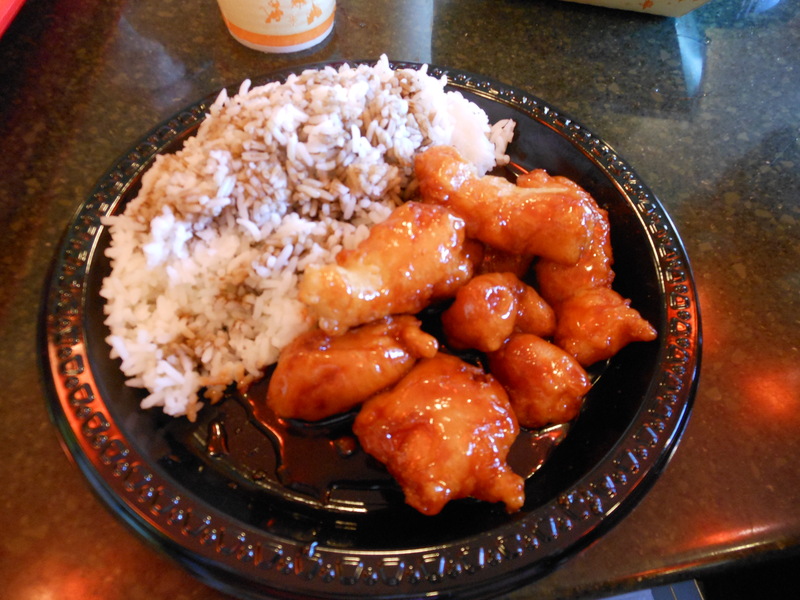 We love the Orange Chicken with fried rice there, and also the pot stickers. It’s all covered seating so it’s fun to people watch while having lunch. We always see Mulan when we’re there and there’s never a line to see her. 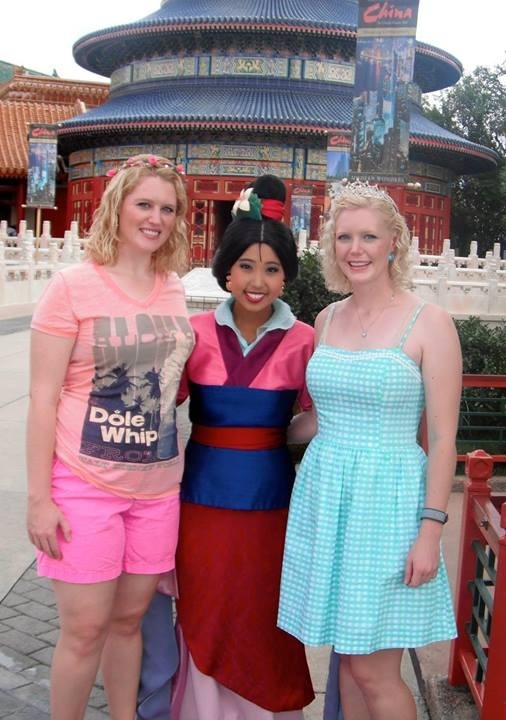 Mulan is one of the nicest characters at Epcot! 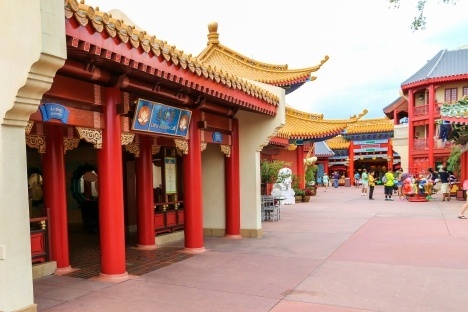 This entry was posted in Disney College Program and tagged Adventures in the Animal Kingdom, Caroline Collins, Caroline Collins disney blog, Cast member, DCP, Disney College Program, Disney College Program blog, Elly Collins, Elly Collins Disney blog, Epcot, Epcot China, Lotus Blossom Cafe, Mulan, two disney sisters, two girls and a mouse tale.